New Mazda 6 Skyactiv Looking Good on P11Ds. 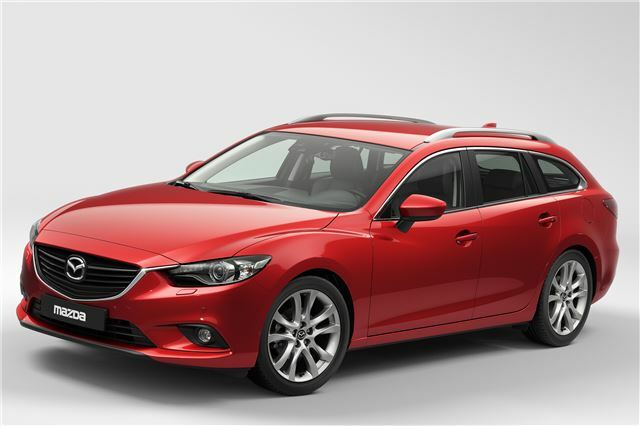 Mazda 6 Skyactive technology means lower BIK for a bigger, better, quicker company car. Thanks to Mazda's SKYACTIV technology, engineers have been able to deliver upper medium-segment leading environmental-friendliness without resorting to the smaller engine displacements of some rivals. The all-new Mazda6 range goes on sale in January in Saloon and Tourer body styles with company car drivers having a choice of two diesel and two petrol engines and six trim levels (SE, SE-Nav, SE-L, SE-L Nav, Sport and Sport Nav). Other manufacturers have introduced smaller engines into their CD segment model ranges in a bid to win over company car drivers searching for low emission, fuel-sipping models. However, with models such as the Ford Mondeo and Volkswagen Passat the compromise is a loss of power and therefore performance. However, Mazda's unique SKYACTIV technology delivers major fuel savings and emission reductions without any power or performance compromise. Indeed, the 'low power' version of Mazda's 2.2-litre SKYACTIV-D offers 150ps, the lowest CO2 emissions figure in the class of 108g/km and 67.3mpg with all three numbers significantly better than those offered by the 1.6 Mondeo TDCi and 1.6 Passat TDI (see chart below). All-new Mazda6 SE Nav standard specification includes: satellite navigation with TomTom technology, 17-inch alloy wheels, daytime running lights, Dynamic Stability Control (DSC) with Traction Control System (TCS), cruise control, air-conditioning, integrated Bluetooth® and Mazda Multimedia system with a 5.8-inch colour touch screen display. another mazda story that reads as if it came straight from the manufacturers pr dept. interesting. Whats the matter with you people and all your negative comments. This is simply an article stating the actual facts. Skyactive technology is obviously very effective and means more power, less emissions and better fuel consumption. It is only natural that the new model will be compared to the main competition. Just because it makes Ford and VW not look great does not mean it is biased towards Mazda, they are the facts people, accept it.